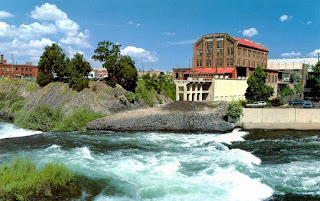 "The Spokane River has its own character and charm even during low water (such as here) contrasted with the raging torrent of these Upper Falls during spring runoff. 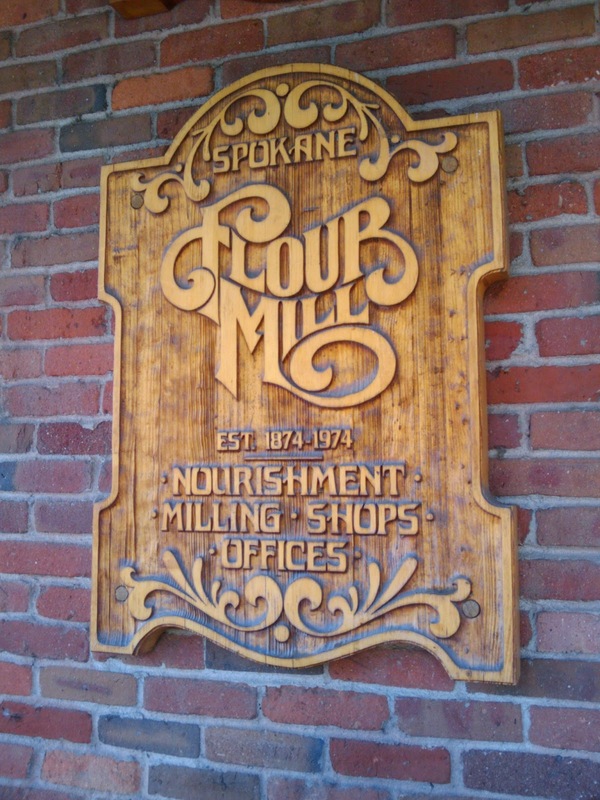 The Flour Mill was built in 1998 to utilize the falls with primitive water wheels as a course of power to mill wheat into flour. 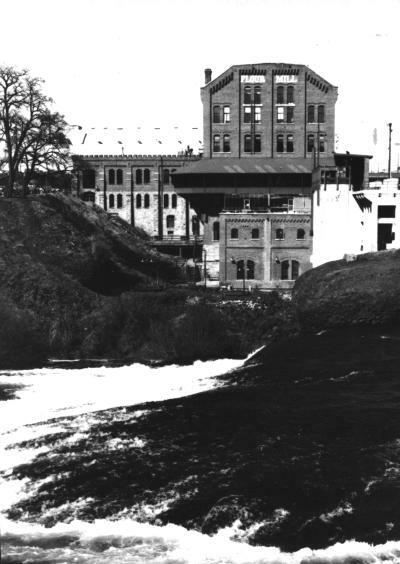 It operated until 1973 when it underwent complete renovation, using natural finishes of existing materials to create a unique complex of shops, restaurants and offices. This landmark is a link with the past, and once again a vital part of the downtown area."